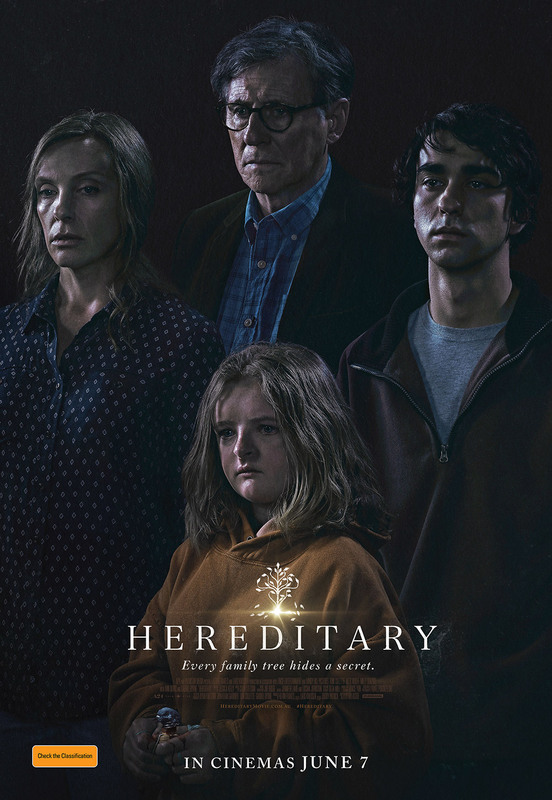 Hereditary stars the ever reliable Toni Collette and Gabriel Byrne and is the latest release by the production company A24, who have over the last few years released some top-shelf horror films. Hereditary seems to continue A24’s style of slow burn psychological horror to great effect if the trailer is anything to go by. Collette plays Anna Graham, a grieving woman who has just lost her mother, with the loss deeply affecting herself and her daughter Charlie (Milly Shapiro). It appears things start to unfold into the supernatural realm from here with some truly frightening images displayed in the trailer. It’s good to see these types of horror movies still being made, as they appear to be paying homage to the 70’s era of horror, inspired by the likes of The Omen (1976) and The Exorcist (1973). The film also stars Alex Wolff and is directed by Ari Aster. A24 has been behind some incredible horrors over the last few years, including the likes of The Witch (2015), It Comes at Night (2017) and The Killing of a Sacred Deer (2017). It’ll be interesting to see if Hereditary can live up to its promising new trailer, when it releases across cinemas on 7 June 2018.